CBD Oil Review rates Cloud 9 Hemp with two stars because it qualifies for the Quality & Mission Badges. Some CBD brands try to do it all. Others focus on a certain segment they’re passionate about or do particularly well. Cloud 9 is trying to do both. Their CBD oil product line has a vast array of options in eight different categories, but their expertise and fervor clearly lie in vaping. Vape blends artfully crafted using a proprietary process are the obvious winners of the Cloud 9 lineup. But this brand has far to go to receive our stamp of approval. Cloud 9 Hemp was founded in 2014 in Tennessee by a team looking to provide the best legal alternative to medicinal cannabis illegal in their state. The team has years of blending and mixing knowledges when it comes to vape e-liquids, and that’s pretty much all we know about the people behind Cloud 9 Hemp. We can’t be sure, but this reads like another CBD brand created by vape industry veterans. Cloud 9 Hemp states that they perform “rigorous” testing on all their products proudly made in the USA, but we can find zero evidence, as they post zero results for purity or contaminants. They won’t be receiving the Safety Badge until they do. CBD e-liquids come in 16 flavors and go from 100 mg at $19.99 to 1000 mg at $99.99. In addition to CBD, these e-juice blends contain organic VG, PG, and “food-based flavorings,” all of which are apparently sourced locally and domestically. Cloud 9 uses a proprietary process of ultrasonic emulsification, blending, and steeping to create their delicious concoctions. 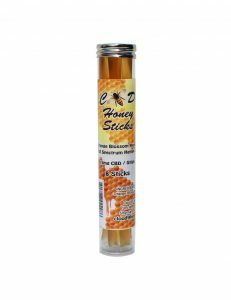 CBD vape supplies include starter kits, and vape tanks. Other accessories are available from a third-party vendor. CBD oil – Cloud 9 breaks this category down into two subsegments: CBD hemp oil and CBD tinctures. They describe the former as 100% organic, but it contains full spectrum cannabidiol that is not certified organic and MCT oil, also not organic. The CBD tinctures line contains their hemp oil tinctures, CBD Syrup Spray, and Terpenes+CBD Drops. The first group counts full spectrum CBD, VG, MCT oil, and natural and artificial flavors as ingredients. 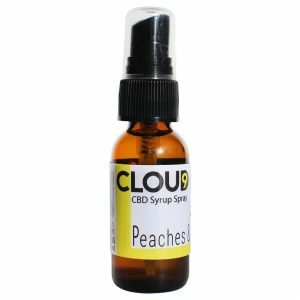 The CBD Syrup Spray has the same ingredients plus added terpenes and comes in five different flavors. Finally, the Terpenes+CBD Drops have the same ingredients as the CBD Syrup Spray, but the cannabidiol used is in isolate form. CBD topicals – We approve of half of this line, namely the CBD face mask and CBD healing balm. We cannot say the same for the other two products which contain a laundry list of dicey ingredients we incessantly call out in CBD topicals, including triethanolamine, dimethicone, and EDTA. But there’s two more ingredients in both the CBD body lotion and CBD cream actually more risky than these, and this is our first time to encounter them in CBD products: diazolidinyl urea and iodopropynyl butylcarbamate (a mouthful, we know). The first releases formaldehyde, a carcinogenic impurity, and the second is documented as toxic by inhalation. Do us a favor, stay away from these two products and any you see with these last two ingredients. Bottom Line – Cloud 9 Hemp misses the boat on safety and uses a lot of artificial ingredients in their CBD product line. We’d like to see them wave goodbye to the nasty stuff in their topicals and get on board with their testing regime. 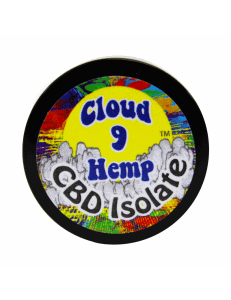 Cloud 9 Hemp sources non-GMO industrial hemp grown in both Europe and the USA, and their CBD oil is CO2 extracted. I was unhappy with the product and when I contacted customer service they were so rude to me I couldn’t believe it. Will never use this company or recommend them to anyone. 100% Satisfaction guaranteed though you can't return a bottle that tastes like crap. What am I supposed to do with it? It gave me an instant headache. Both bottles that are similar flavors taste exactly the same.